The National Safety Council (NSC) estimates that up to 40,000 people died in auto accidents in 2016, marking a six percent increase from 2015 and a 14 percent increase from 2014. This is the most dramatic increase in 53 years, said Council officials. One of the factors thought to be causing the increase is cell phone use. 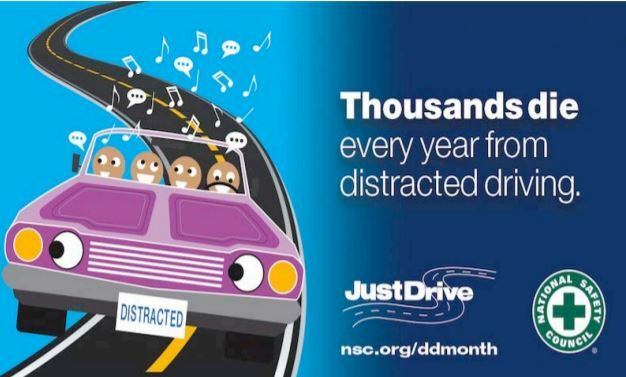 An NSC survey of the risky things drivers do while on the highway found that 47 percent of people text, either manually or through voice controls, while driving. “Our complacency is killing us,” said NSC President Deborah Hersman. “Americans believe there is nothing we can do to stop crashes from happening, but that isn’t true,” Hersman said, as reported by the Safety Council. Dr. Theodore S. (Scott) Smith from the University of Louisiana Lafayette, and Dr. Melissa Beck, at Louisiana State University, are two of those in the community who are working to uncover the elements of this problem and make a difference. Dr. Smith is Assistant Professor in the Psychology Department and leads research in his lab, The Louisiana Applied and Developmental Psychological Sciences Laboratory, where he is interested in how cell phone distraction affects the learning process, not only in the classroom, but also how applicable distractions may affect driving behaviors and eyewitness memory. Smith has authored Cell Phone Distraction, Human Factors, and Litigation, published by Judges and Lawyers Publishing and which is becoming a popular resource for legal professionals. Louisiana State University cognitive psychologist Dr. Melissa Beck is also tracking down the “inattention blindness” that affects us when we are driving. Working with simulators at the Civil Engineering Department, Beck and her associates recently published results of one of her several studies in this area. For the April issue we take a look at what some of our psychological scientists are trying to do to discover how to make driving less dangerous, and to help stop that one call, that changes a life forever.